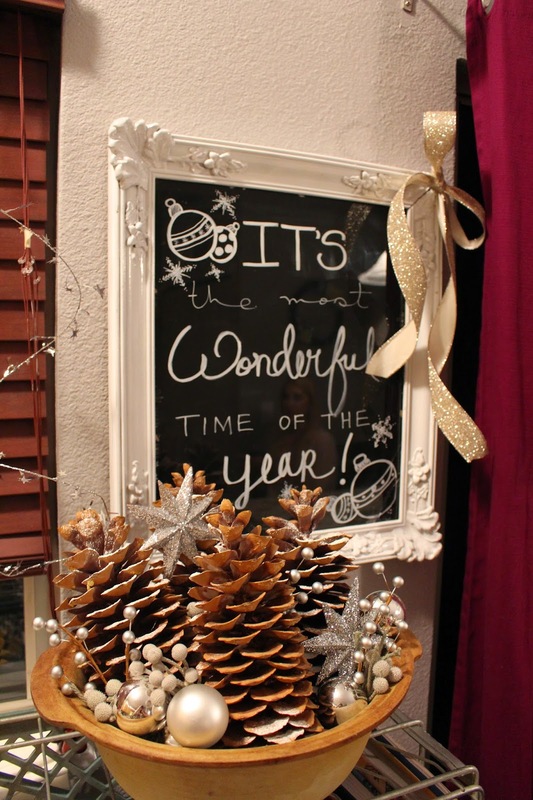 All My Great Ideas Are Really From Pinterest: New Year's Eve Party! My roomate made this "chalkboard" frame for us at a thrift store. We painted the backside of the glass with black paint and use a white bistro marker to change the saying as the mood strikes. We made some Rice Krispies Treats with some crushed up Oreos. Sooo delicious! Everyone at the party got a mini bottle of champagne with a note to have a sparkling new year!